It’s Time for a Technoliday! MINNEAPOLIS (Dec. 12, 2017) – In a season traditionally associated with chestnuts roasting on an open fire and tree trimming, the holidays now include Amazon Alexa gift purchases and Pandora holiday playlists. How can families help keep a healthy balance with technology during holiday get-togethers? 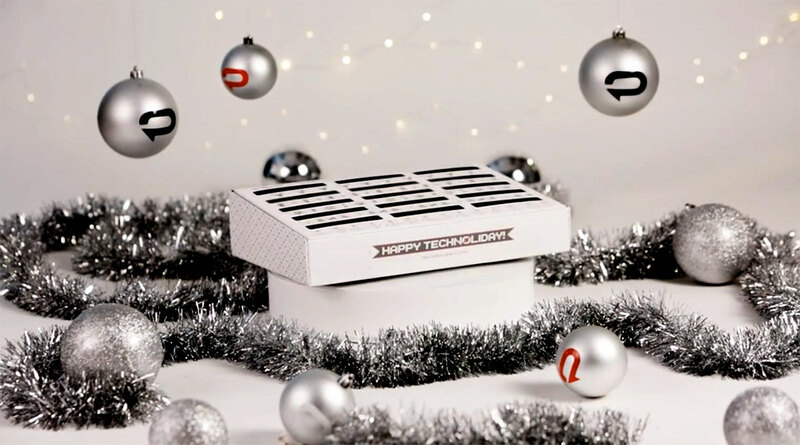 Padilla, a Minneapolis-based PR agency, is answering that question this season with the Technoliday Box. The Box is designed to encourage families and friends to create temporary phone-free zones and make more meaningful connections with those who matter most this time of year. Just how is technology affecting Americans this holiday season? According to an ORC International survey commissioned by Padilla, people who are worried about the lack of balance with technology in their lives are most concerned about using technology around family (39 percent). Conversely, 61 percent of those achieving balance say they are significantly more likely to limit technology with family or close friends. When asked how individuals cope with the pervasiveness of technology in their lives, the top response was focusing on tasks that only require limited or no technology, such as going for a walk or reading a book (49 percent). To learn more about the Technoliday Box, visit Technoliday.com. Padilla commissioned ORC International to survey 1,024 U.S. adults ages 18 and older November 27-29, 2017 to take a closer look at technology use. All statistical tests were performed at a 5 percent risk level. ORC International is a collaborative and consultative research partner to hundreds of organizations around the globe.